Jay Z showed up to Solange‘s wedding Sunday in New Orleans breaking a cardinal rule … but in this case there's an exception. 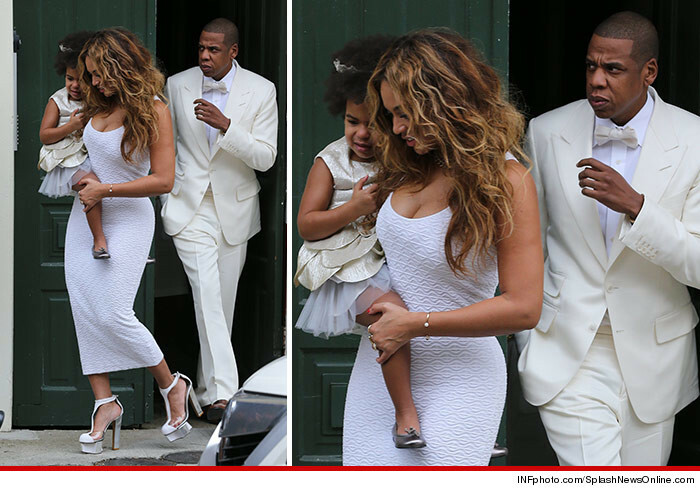 Hova and Beyonce arrived hours before the nuptials and Jay dressed to the nines in a fancy white tux. Wearing white to someone else's wedding normally is frowned upon … the whole upstaging the bride thing. But when you look at the photos it appears the ceremony has an all white theme. Or maybe he's just trying to get revenge for the elevator fight.